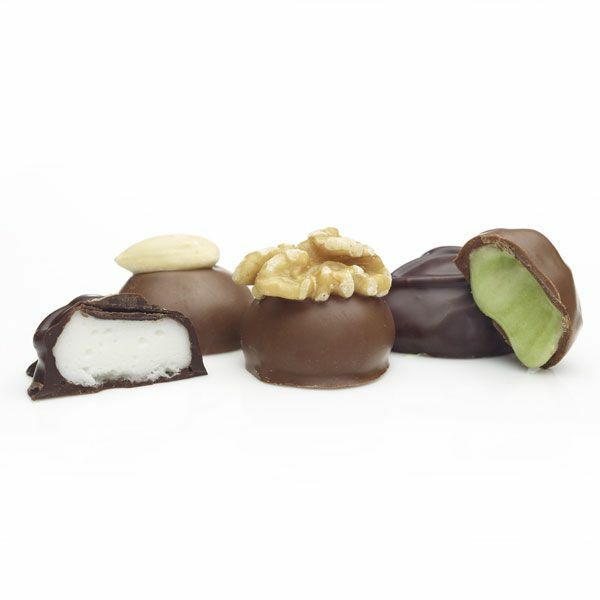 A selection of Milk Chocolate and Dark Chocolate Creams, soft centered. 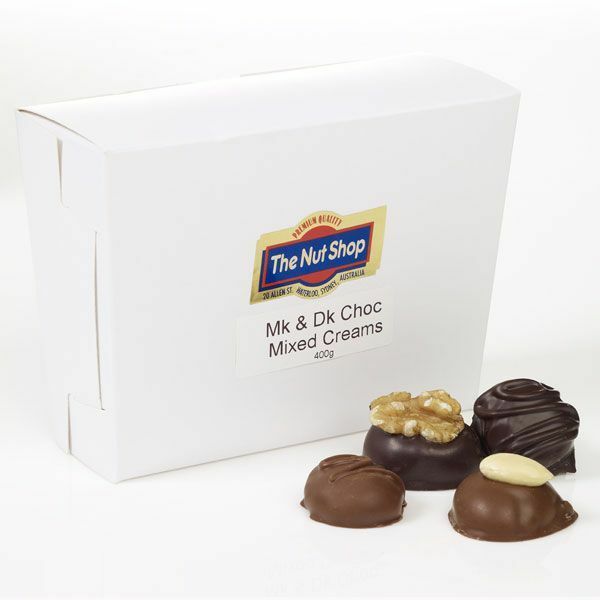 Flavours include strawberry, lemon, lime, mandarin, banana, coffee, vanilla and peppermint. Made in Australia from local and imported ingredients. Contains dairy. Contains glucose derived from wheat.